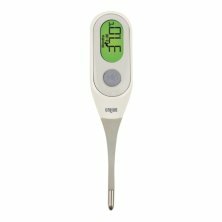 Braun PRT 2000 is an innovative stick thermometer with age precision, because the definition of a fever changes as we grow. With colour coded display and fever alarm. Eight second temperature reading.